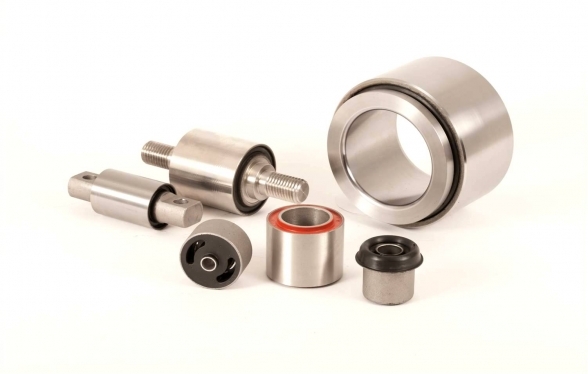 Products for this market include parts for carriage coupling, and components for primary and secondary suspension systems. 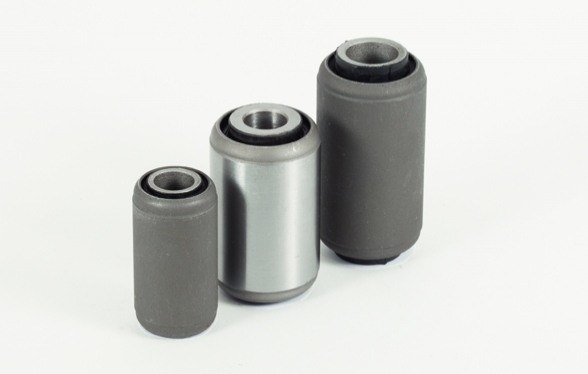 bonded bushes and heavy duty ball-joints for primary and secondary suspensions systems. We offer a refurbishment service for rail components, and are experienced in manufacturing components for the heritage railway sector including the world famous Orient Express and the Bluebell Railway. 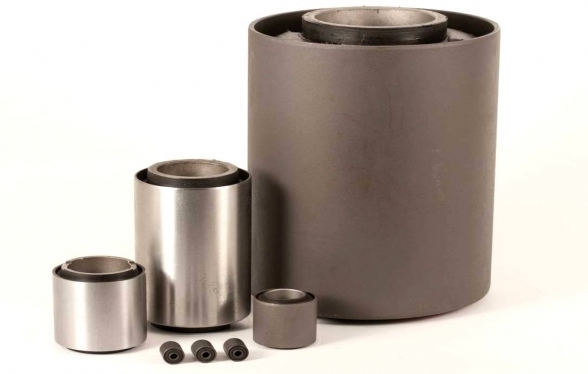 The fully bonded bush consists of rubber bonded between two concentric steel sleeves. The bush is designed to accommodate small torsion, conical and axial movements and endure radial loads. 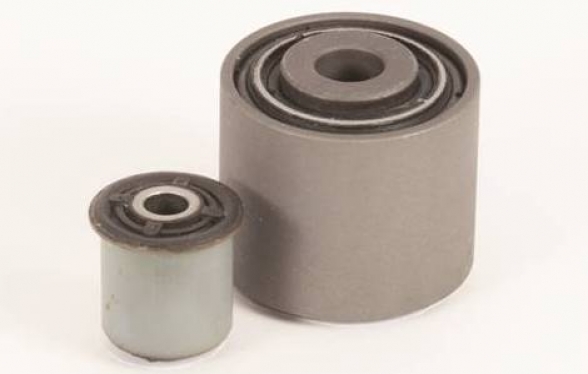 Cylindrical and rectangular buffers designed for vibration and shock isolation. 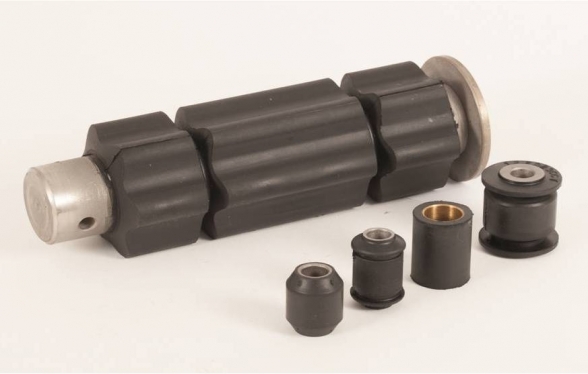 Duplex bushes are similar to standard bushes, but are reinforced with an intermediate tube. This bush configuration provides high radial load bearing whilst retaining low axial and torsional stiffness rates. 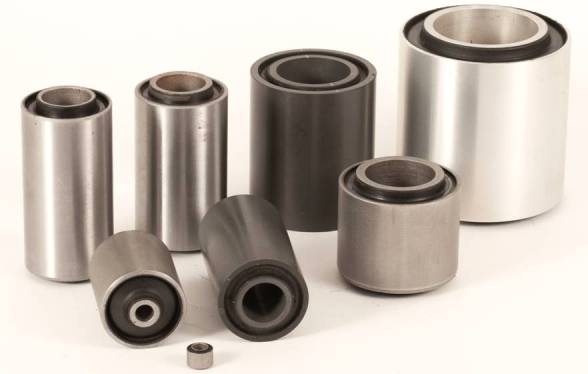 Inner sleeve bushes consist of rubber bonded to the inner sleeve and are designed to accommodate small torsion, conical and axial movements and endure radial loads. 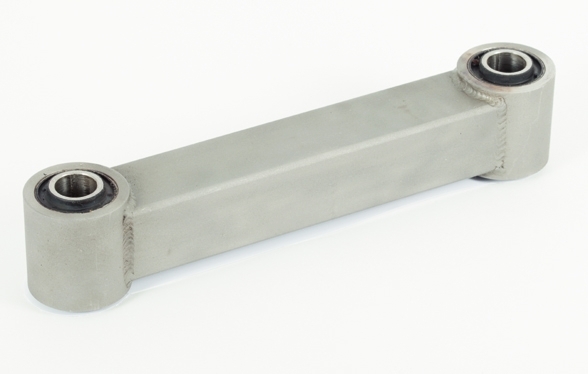 We can provide complete link arm assemblies using either customer supplied metalwork or in-house fabricated components. 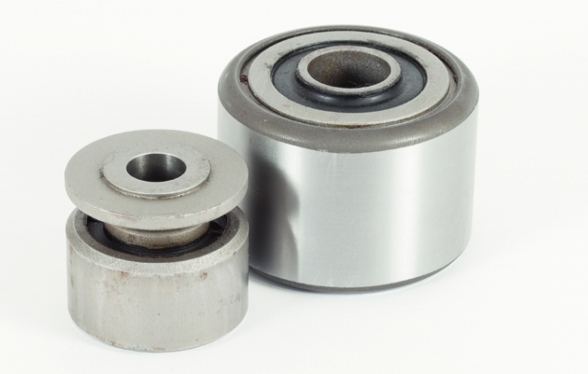 Sandwich, bobbin and shear mounts are used for a variety of applications including engine mounts and vibration equipment. 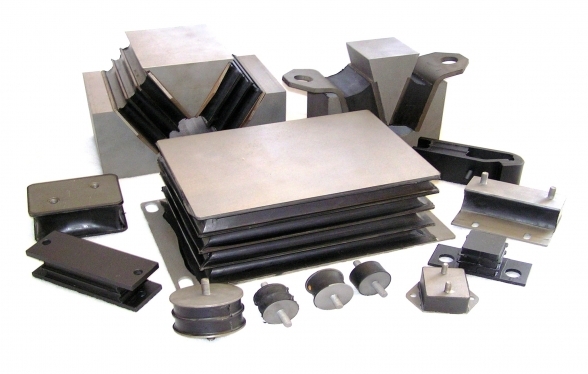 They are designed to accommodate misalignment and provide vibration and shock isolation for shear and compressive axial loads. A semi-bonded bush consists of rubber sandwiched between two concentric steel sleeves. The rubber is bonded to the inner sleeve and interference fitted to the outer sleeve. The semi-bonded bush is designed to accommodate small torsion, conical and axial movements and endure radial loads. 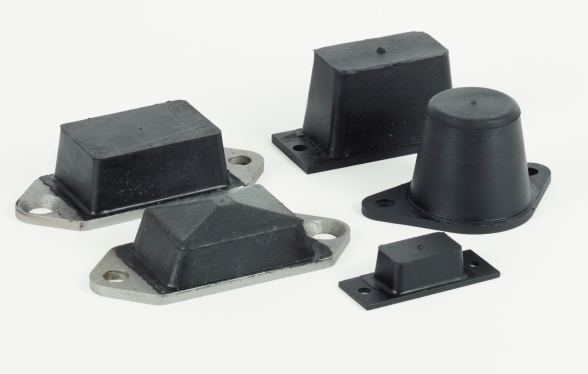 We offer a variety of non-standard bushes, designed to customer specification. If required we can use customer metal work to produce the finished part. These bushes consist of a contoured inner and outer metal forming a ball-joint, articulated by a thin annulus of rubber. They are designed to accommodate high radial and axial loads and allow conical and torsional displacement and misalignments. The spring-eye bush consists of rubber bonded to an inner tube and force-fitted into an outer sleeve. The spring-eye bush is similar to the semi-bonded bush series, although the outer metals are turned over to increase radial and axial load bearing capability.